Heavy Trash is an anonymous arts organization of architects, designers and urban planners, who draw attention to the public realm and issues around urbanism through guerrilla art projects. 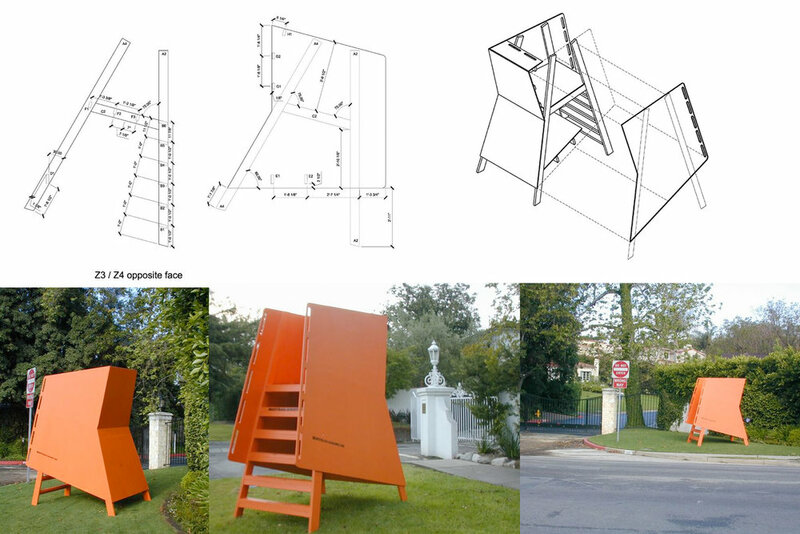 On April 24, 2005, Heavy Trash volunteers deposited bright orange viewing platforms in front of three Los Angeles gated communities; Brentwood Circle, Park La Brea and Laughlin Park. The purpose of these viewing platforms is to draw attention to the phenomenon of gated communities -- the fastest growing form of housing in the United States. On July 2, 2007, Heavy Trash launched "Forever Landfill" a commentary intended to bring attention to LA’s waste and waste management problems in the form of a conceptual service company called Forever Landfill. The fictional service provides individual plots of landfill for residents to fill with trash to their hearts content. Forever Landfill was advertised on unsanctioned bus benches with organizers placed throughout the city.